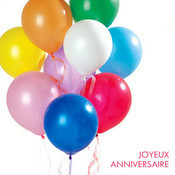 Happy Birthday To You is one of the best known songs in the world. 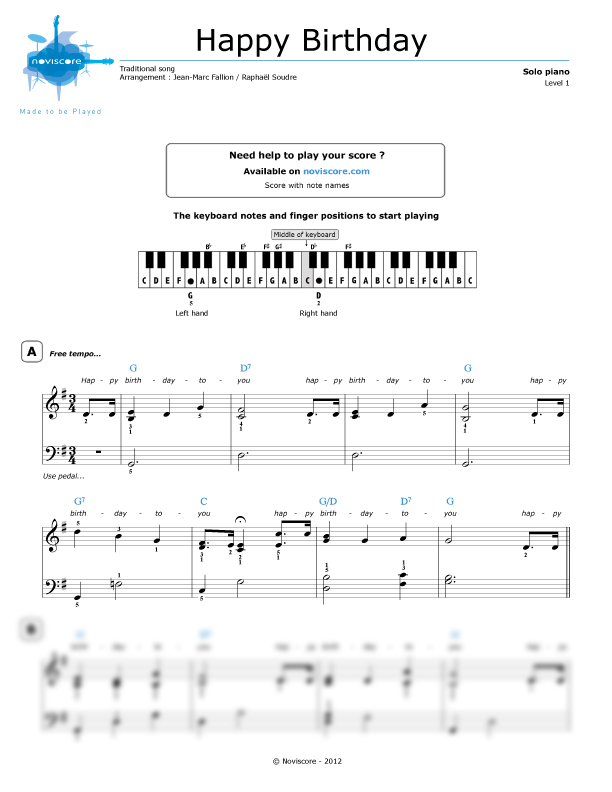 Sing along with our Level 2 piano accompaniment or try one of our 3 different versions for piano solo! 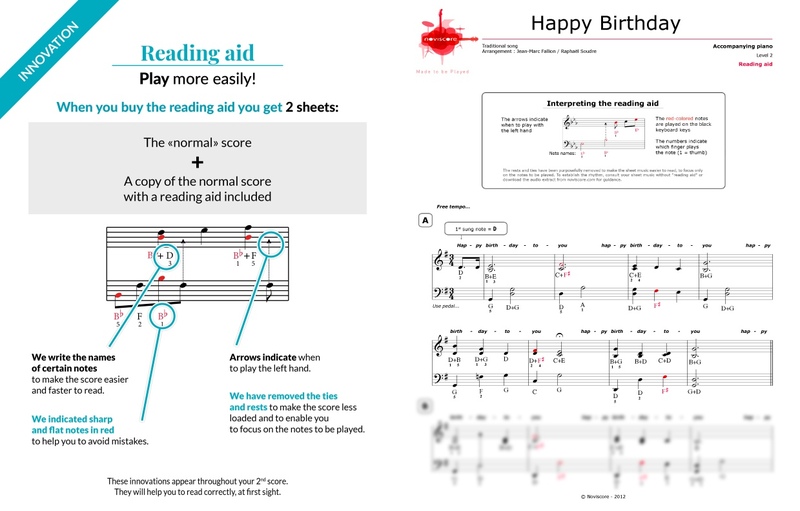 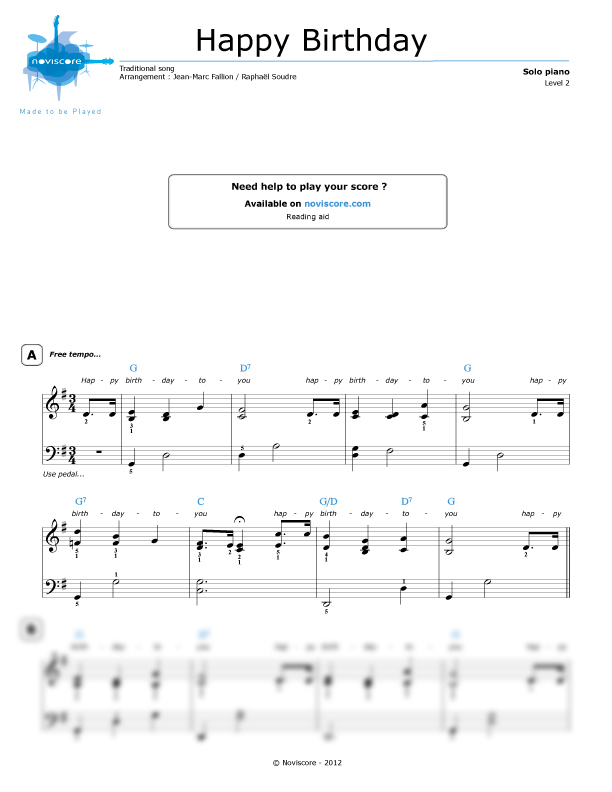 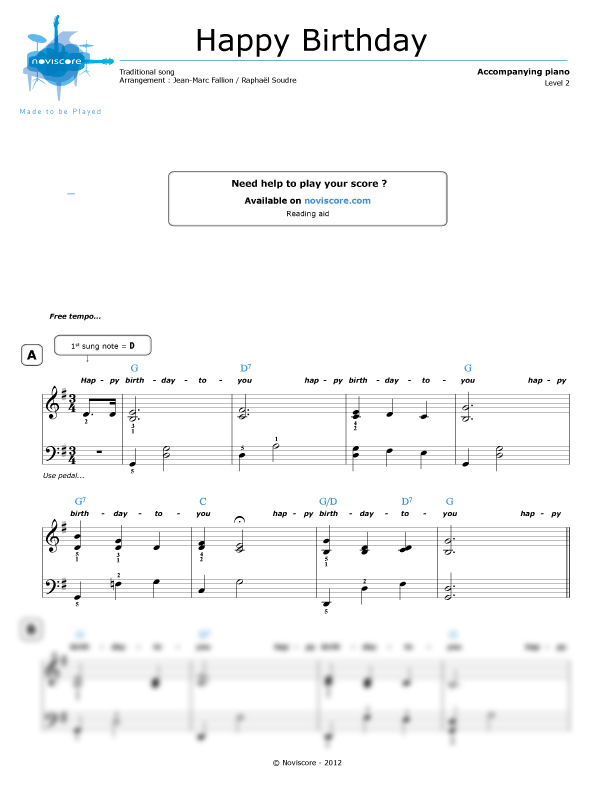 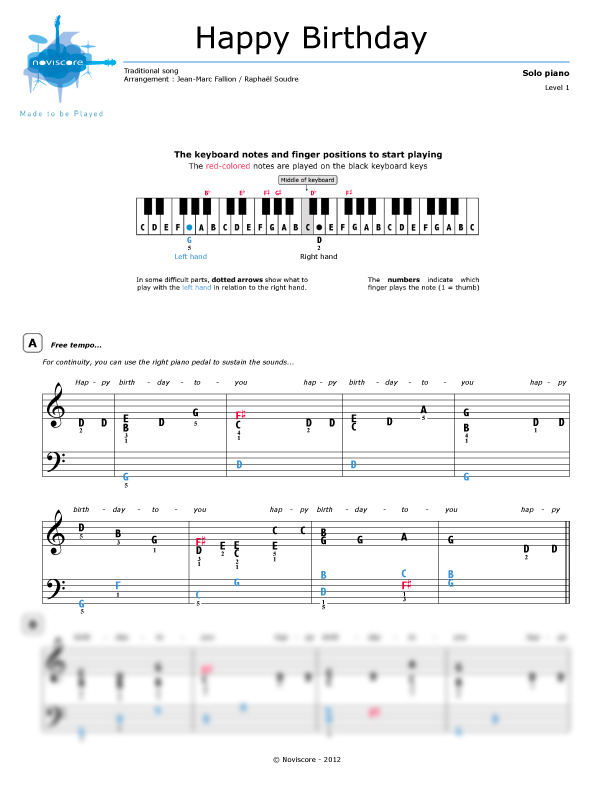 If you are a beginner and have difficulty reading music, you might want to try our Level 1 easy piano sheet music where the symbols are replaced with the note names. 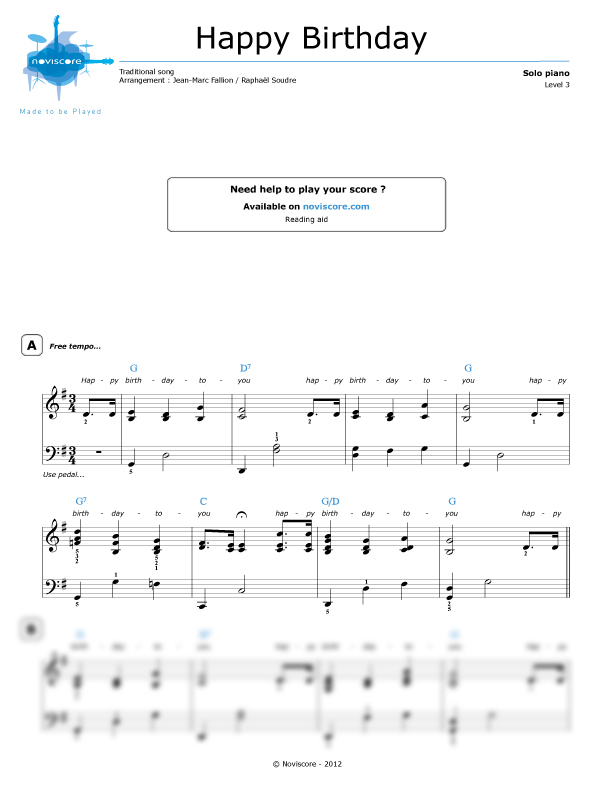 Written by 2 teachers in 1893, the song was originally entitled Good Morning To All & has been translated into at least 18 languages.